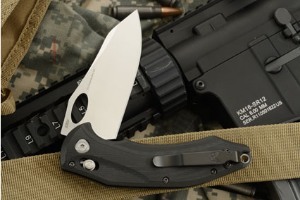 Description: The Benchmade 808 Loco may just be one of the most overbuilt tactical folders to ever come from Benchmade! This robust tactical knife has a large flat ground blade made from CPM-S30V. 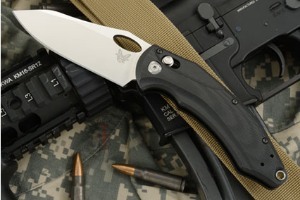 S30V is an American-made and developed premium grade stainless steel created especially for knives. It is a powdered metallurgical steel with a uniform carbide distribution and clean steel properties. This gives the blade superior corrosion resistance, toughness, and edge retention. 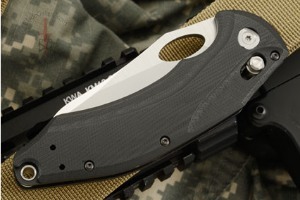 The oval thumb hole cutout makes opening the knife easy in any situation! 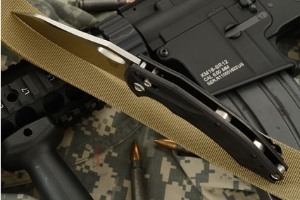 Precision milled G10 scales sit on skeletonized stainless steel liners and provide the perfect combination of traction and comfort. A custom designed pivot, axis lock, and barrel spacers really add a nice finishing touch. 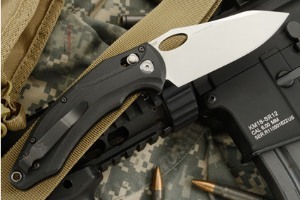 A lanyard tube and a reversible deep carry pocket clip will keep the knife close at hand.